A contest at an auto dealership isn’t typical fodder for a Broadway musical, but Hands on a Hardbody, a new rock-and-roll tuner by Trey Anastasio, Amanda Green and Doug Wright, has a truckload of heart. Find out the real-life story behind this new musical, and follow the journey of Hands on a Hardbody from a Texas car lot to the Broadway stage. On a September morning in 1992, 24 contestants arrived at the Jack Long Nissan dealership in Longview, Texas. The rules were simple: Stand with one hand on a brand new Nissan Frontier pickup truck—no leaning, no kneeling. Every hour, you get a five-minute break. Every six hours, you get a 15-minute break. The last contestant standing gets to keep the truck. Three days later, winner Benny Perkins drove home in his coveted prize. During the competition, S.R. Bindler, an NYU student home on vacation, was drinking in a bar across the street. “At 3:00 AM, the place closed up and I stepped out into the night,” Bindler told the International Documentary Association. “Across the street, I saw a car lot lit up. I was drawn to it like a moth.” When he returned to New York City for school, he dreamed of adapting the Texas endurance contest into a movie. After writing several scripts that never seemed to pan out, Bindler and his friend Kevin Morris got down to business. “Kevin became as obsessed as I was with the contest's film potential,” Bindler said. “We decided to shoot the next contest in a down-and-dirty manner. If we caught magic, great—if not, I'd have enough material to write a script. We caught magic." With Bindler as director and Morris as producer, the duo filmed the 1995 Hands on a Hard Body contest, documentary-style. One contestant looked familiar: Benny Perkins. As a past winner, he had a leg up on his fellow contestants, creating tension among the group. “It’s a human drama thing,” Perkins said in the documentary. “It’s more than just a contest and it’s more than just winning the truck.” Perkins seemed to be a shoo-in to win again—even the other contestants agreed. After 77 grueling hours of hallucinations, injuries, dancing, singing, arguments and hysterical laughter, one contestant has the strength, determination and perseverance to win the truck. (Watch the documentary to find out who—or hold off until after seeing the Broadway musical if you want to be surprised.) The winner’s advice to future competitors? “If you really want somethin’, keep your hands on it.” The independent film was released in 1997, earning rave reviews. The Hands on a Hard Body contest fizzled in 2005, when contestant Richard Vega committed suicide after losing the competition. Vega’s wife sued the dealership for $600,000 in a case that was settled out of court. "What happens is you go slowly insane," Perkins told Bindler. "The body can work 24 hours a day, seven days a week. But your mind has got to rest. You have to have sleep. And when you deprive your brain of rest, then you start going slowly crazy." Pulitzer Prize-winning playwright Doug Wright (I Am My Own Wife) saw the 1997 documentary and immediately thought it would make a spectacular Broadway musical. “[There were] so many unusual, eccentric people who entered,” Wright said in a promotional video. After enlisting the talents of composer and lyricist Amanda Green (Bring It On), Phish frontman Trey Anastasio and choreographer Benjamin Millepied (Black Swan), the team got to work. 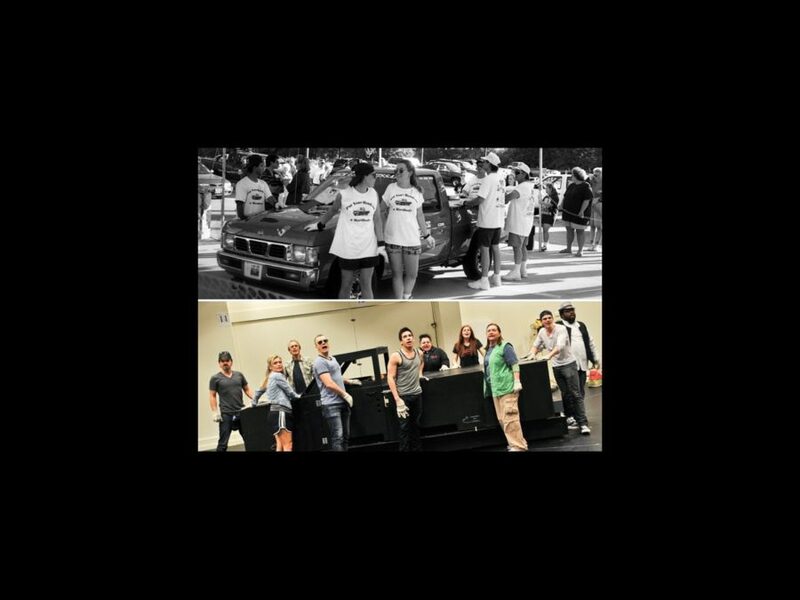 Hands on a Hardbody premiered at California’s La Jolla Playhouse on May 12, 2012. The music is a combination of “rhythm and blues, blues and country ballads,” Anastasio, a longtime admirer of musicals, explained at a La Jolla rehearsal. “Then you get to rehearsal and arrange it for the cast, and you hear it coming back at you…from voices of six people who just kill. It’s quite a joyous experience.” Hardbody was also a first for director Neil Pepe, who has directed plays of all types (notably by David Mamet), but never a musical. “It’s such an odd challenge as a director to have this truck sitting in the middle of the stage,” Pepe told NPR’s Morning Edition. But like Wright, Anastasio and Green, he was up for the challenge. Although the musical takes creative liberties with the characters’ backstories, Hands on a Hardbody accurately depicted the strenuous competition. “It’s not a stringent adaptation of the movie,” Wright explained. “There’s some characters that have been invented solely for the purpose of our musical.” But the heart and moral of the film remained the same: “The show’s personal, it’s highly emotional [and] it’s deeply funny,” Wright said. And La Jolla critics agreed! Hands on a Hardbody parked at Broadway’s Brooks Atkinson Theatre on February 23, 2013, starring original La Jolla cast members Keith Carradine as JD Drew, Allison Case as Kelli Mangrum, Jay Armstrong Johnson as Greg Wilhote (a composite of several characters), David Larsen as Chris Alvaro (based on contestant Greg Cox), Keala Settle as Norma Valverde, Dale Soules as Janis Curtis and Hunter Foster as Benny Perkins. 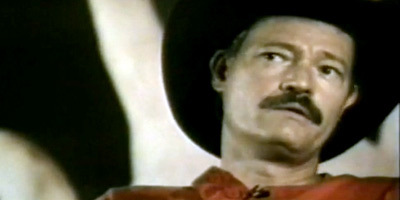 The score boasts titles like “Human Drama Kind of Thing” and “Hunt With the Big Dogs,” many with lyrics lifted directly from the mouths of the contestants. Although the La Jolla cast remained intact, one creative team member drove off into the sunset: Due to scheduling conflicts, Millepied stepped down as choreographer, making way for all-new musical staging by Sergio Trujillo. See the competitors go head-to-head in Hands on a Hardbody, opening March 21 at the Brooks Atkinson Theatre.